Now you can add audio to your book with PENpal and recordable labels. Attach a label to each page, and ask a parent, older child, or community leader to record the spoken Albanian language directly onto the label with PENpal. Then a child or Teaching Assistant need just touch the label to play back. To preserve the recording so that it cannot be accidentally overwritten, you may wish to use the CreateLINK programme from our website. 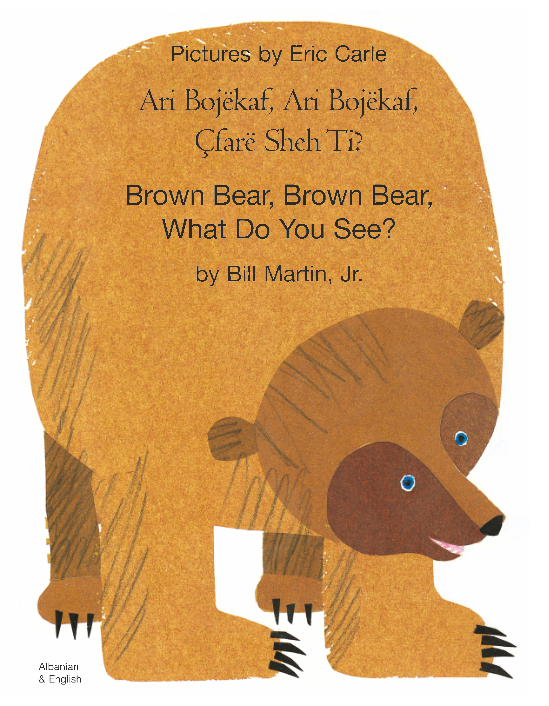 Now this popular book can be read aloud in languages that a child can understand even though they may not be able to read.